Joining a gym and working with a personal trainer are great ways to get fit and healthy. Unfortunately, one of the downsides of pushing yourself physically is an increased risk of injury. Workout injuries are very common - even under the experienced supervision of a PT or in the safe environment of a gym. For Barbara Petrie, this is exactly what happened. During a PT session her trainer pushed her to continue crunching despite her complaints of a sore back. After doing a few more crunches, Barbara ruptured two discs in her spine and required emergency surgery. These injuries and the resulting surgery left Barbara unable to walk or sleep, let alone work. She was in constant pain. Although devastating for her and her family, Barbara’s story is an important reminder that workout injuries are easy to sustain and can be difficult to recover from. Click here for the full story. According to the Australian Institute of Fitness, the most common workout injuries are injuries to the foot and ankle, knee, lower back, shoulder and neck. Foot and ankle injuries are commonly caused by distributing too much weight to the front of the foot. One way to prevent foot and ankle problems is to find a running shoe that’s right for you. Improper footwear and misplaced centre of gravity can also damage the knee, and can be prevented by strengthening exercises such as lunges. Lower back, shoulder and neck injuries are generally caused by the postures and habits of our sedentary lifestyles. Spending most of the day hunching at a desk can create tightness in the chest, and weakness in the back and neck muscles. This means that despite our good intentions, going straight from the office to a vigorous workout can cause the muscles to overextend and even tear. In order to prevent damage and get more out of your workout, it’s important to ensure that you stretch adequately and properly before and after every workout, focusing on your back, neck and arms. Your PT should be able to create a stretching and strengthening program for you, and teach you how to properly support your neck and back during any risky exercises. Most importantly, the best way to avoid common gym injuries is to listen to your body and communicate with your PT. Although exercise should be challenging, it should never be painful to the extent that you sustain an injury - and no one knows how your muscles and joints feel better than you do. Be mindful of the way your body feels before, during, and after your workout, and be open with your PT about how you feel. They’ll be able to tailor your session to accommodate any injury or weakness, and instruct you on how to protect and strengthen your problem areas. Chronic injuries, which are ongoing and often come on gradually. These are often instantly painful, and can even be debilitating. If you feel you may have sustained an acute injury during at PT session, stop and inform your trainer immediately. If an injury has occurred, the most common treatment is the RICER protocol (rest, ice, compression, elevation and referral), and can include the use of slings, splints or other immobilising apparatus. Overuse injuries can occur over a long period of time, and are often the result of poor technique, inadequate recovery, or an over-repetitive program. If an overuse injury does occur, it’s important to rest, refrain from stressful activity, ice the effected area before and after exercise, and slowly include strengthening exercises into your PT sessions. Your trainer should be able to help you with all of these steps, and communicating with them will help prevent overuse injuries from occurring. Finally, chronic injuries are gradual and ongoing. It’s often difficult to pinpoint exactly when or how the injury occurred. They often worsen and spread to other areas. If you think you may have a chronic injury, it’s important to rest and ice the area, and seek professional advice and treatment. Like Barbara, people who suffer a workout injury may find themselves unable to work, in constant pain, or suffering a variety of other long-term consequences. 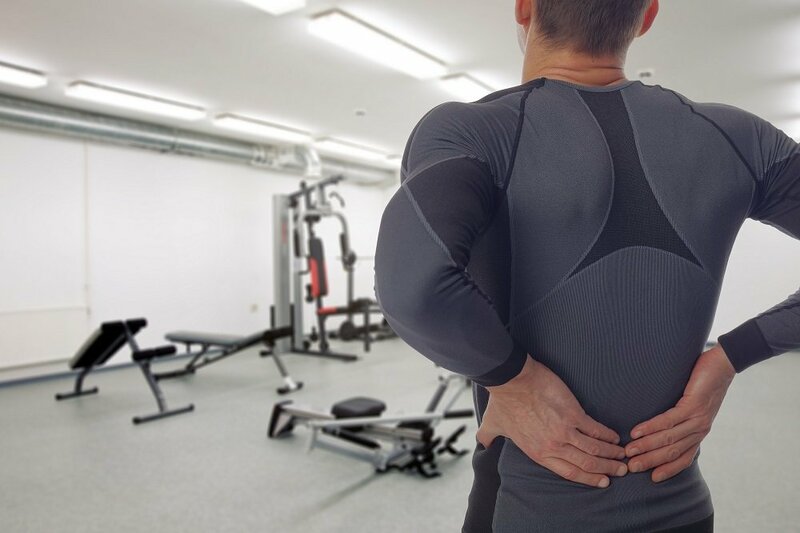 If you’ve been injured at the gym or during a PT session, you may be entitled to compensation to allow you the time and treatment you need to get back to you. For more information and support contact your local Shine Lawyers office for an obligation-free consultation. Our friendly team will clearly explain your options so you can make the best decision for yourself and your family. Written by Shine Lawyers on November 8, 2017. Last modified: August 31, 2018.